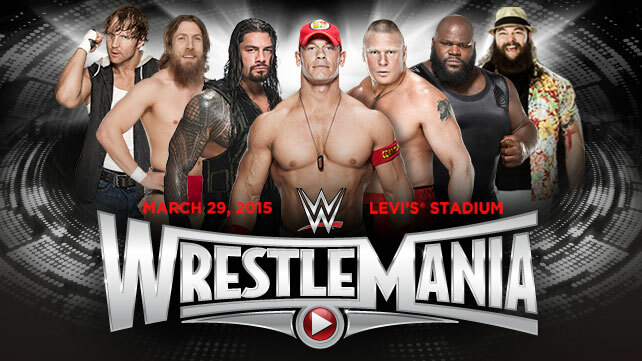 Wrestlemania was the best WWE PPV since last April? James:True – I enjoyed all the matches on the show and the time just flew by. Darren:True, the matches were generally pretty good and most actually were worthwhile. 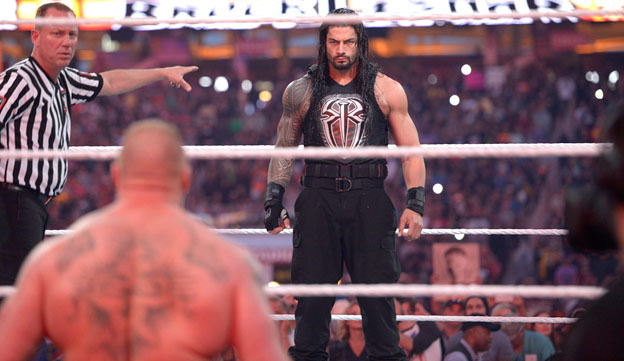 Big show winning the Andre the Giant Battle Royal makes sense for his career? James:False – somebody on the rise of their career should win the AGBR, not somebody in show’s current position. Although it will mean nothing in 3-4 weeks anyway. Darren:True, it does makes sense as he should win that type of match. But at the same time in reality it won’t make much difference to his time in the wwe. Sting working a single match for the WWE and losing makes sense? James:False – it seems a bit of a waste of the build for the authority heel to go over, it seemed more WCW vs WWE than being focussed on Stings first WWE match. Darren:False, it doesn’t make sense, although maybe they thought it would be too obvious for sting to win so went a different way! Your excited by the prospect of Daniel Bryan as Intercontinental Champion? James:True – Hopefully the IC title will actually get a good storyline that it deserves now rather than being something that means you lose every non title match. Darren:True, Bryan should give the belt some credibility and return it’s stature as a good and worthwhile belt to have! Bray Wyatt should have beaten the Undertaker to improve his current value to the company? James:False – normally I would say true, Taker is on the way out Bray is on the rise, but I think they needed Taker to win to give him a reason to come back for the next mania, 2 losses on the trot would have ended him + he looked in great shape which is promising. Bray needs another good run to build himself back up. Darren:False, this was a good way to bring back taker. If wyatt had won – would it really have launched his career? I think people would argue he beat an old undertaker and thats it.. So probably good taker won. Brock Lesnar and Roman Reigns was a better main event than you expected? James:True – It was a great match that held my attention when I was expecting a car crash, Roman did very little in the match apart from taking a good beating. Darren:True, was better than expected but it worked as they played to the strengths of both wrestlers and made it a battle of power, lesnar dominating with the odd reigns counter.. I personally thought the ending was predictable however! Rollins as World Champion was the correct decision? James:True – The man is the future, he deserved the title and will be a great wormy heel champ. Darren:True, I was originally going to say false as not sure on Rollins. However I think lesnar will be appearing more on raw etc now and for me that’s a good knock on effect from him not being champ and only wrestling ppv’s. Also there are a lot of routes for potential title clashes that seem more logical against Rollins than they would vs lesnar. Well that’s it for the first Round Table review- thanks for reading everyone!